I did not (NOT!!!) support Clinton, but I am interested in what informs the opinions of those who did support her. Not much new here. Would be much more interesting to hear from guests with differing opinions. Still, I found myself engaged enough to get to the end (almost). Iâll give a few more podcasts a go. I tried listening to the episode Her Body and Other Parties, and I just could not. I donât understand how you could have a podcast with a host whose voice is completely grating and unpleasant. BRING IT BACK. I love all the episodes - they're so fun. Love it! They are all so smart and insightful. I tried to enjoy âLincoln in the Bardoâ and âHandmaids Tale,â which I mostly did. The panel was erudite, insightful, and articulate. But! The host has a verbal fry that started as distracting and by midway through the second episode became unbearable. Iâd go back but Iâll need assurances. Oh the vocal fry!! It is so obviously an affectation - when they actually speak in their normal registers their voices are completely normal!The insights are awesome, I love hearing these people discuss books, but for God's sake: CLEAR YOUR THROAT! Once you hear it, you canât unhear it. Katy Waldmanâs vocal fry makes this podcast unbearable. I had to unsubscribe. I tried to get past Katie's voice, but I did not even want to try and get past her attitude. She basically mocked anyone who believes in an afterlife when discussing "Lincoln in the Bardo." It was also apparently horrid that the book was about ghost and grief, and not about slavery. Hey Katie, go write your own book about Lincoln and slavery. UGH. I am SO SICK AND TIRED of this idea that only social justice warriors read. I would love to have the insights without sympathetically clearing my throat over and over. Have to unsubscribe because I cannot listen. I listened to a total of three podcasts before unsubscribing. Katy's voice is like nails on a chalkboard. The gravelly quality of her speech makes the otherwise interesting conversation unlistenable. I look forward to the day the hosts change. I am listening to the episode on The Odyssey. Great program except for Katy Waldman's voice. Katy Waldman's voice makes me physically sick. She sounds like she just rolled out of a bed and hasnât brushed her teeth. Her voice cracks into thousand different ways. And what exactly is stucked in her throat? Really horrible. I always have a hard time picking a book to read, and Iâm really happy I found this podcast to help solve that issue! I enjoyed the exchange between the two reviewers for When Breath Becomes Air, but I quit listening before the review was finished because the recording was somewhat subpar negatively impacting the listenerâs experience; the clarity of the ads confirmed my observation. Usually wonderful discussions on this show. Just wish this podcast happened much more often. Not that I always agree with the opinions on some of the books, but always thought-provoking. Great job!! The discussions are generally interesting, but like a lot of people have complained, Katyâs vocal fry is unpleasant. Perhaps there could be something done in the editing/production? Itâs especially noticeable with headphones on, and the amplified buzzing in my ears becomes distracting to the conversation and physically uncomfortable. Nice to listen in on conversations about these books. Love this podcast. Found many excellent books through it. Is not vocal fry. It's that you don't have any better insights than my own book club. The pretensions to intellectualism are laughable. I really like this podcast! So it pains me to say I just can't listen to it anymore. The content is great and the book selections are wonderful, but the voice of one of the hosts just kills me. I realize how mean that sounds, but some people just aren't meant for radio/podcasting. Their voices just aren't appealing for the listeners. It's like nails on a chalkboard. I won't write her name on here because I do feel bad saying these things, but I will be unsubscribing until Slate makes some necessary changes to their hosting panel. 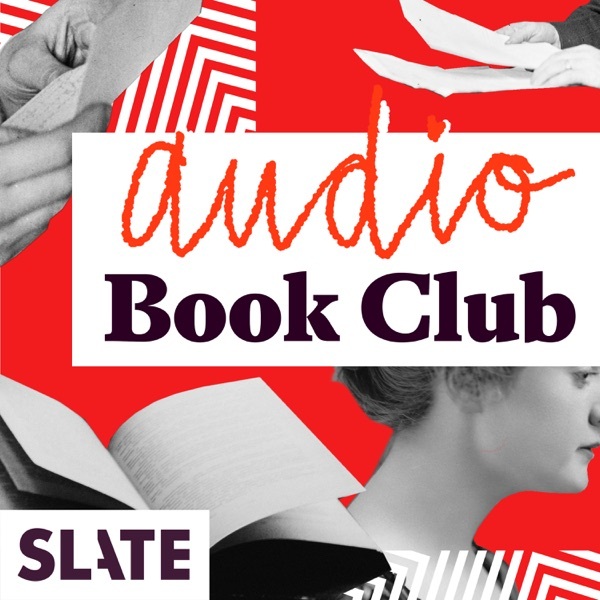 When I saw that Slate's Audible Book Club would be a discussion of The Handmaid's Tale I was quite excited to listen....until I realized that Katy Waldman would be one of the participants. I knew her comments would be interesting but like many others, I wasn't sure that listening to her voice would be worth it. What is wrong?? Surely there is something seriously wrong. I worry that she might have a medical problem. Even throat cancer. I'm not being facetious. I think she needs to see a doctor asap. My father, who was a law professor developed throat polyps and had to rest his voice for over a year. He couldn't speak, other than to deliver his lectures in class. His voice never sounded as bad as hers, but perhaps she has something like he had. He did eventually recover. Katy, please seek treatment! Had to stop listening to the Review of The Art of War as both the host and her female guest made competing efforts at Vocal Fry. This is my third attempt to listen to the show after failing to be able to hang in there through Katy's vocal fry. I'm starting to wonder if there's a medical condition that explains this? Her guest can't be forgiven for this though. Ladies-you sound awful! A puzzling thing about this podcast is how much the participants complain about the books. A critical approach is fine, but do these folks even like reading? I'm not sure. Also, the audio is a bit shaky in some episodes. Love this book club--look forward to it every month. Intelligent discussion of literature. Very organized--relveals what you need to know in order to either read the book or better understand it once you've read it. Other book podcasts would do well to listen to this one to gain a sense of how it should be done. Great podcast with insightful, indepth conversations about interesting books. Very happy with the range of book choices. I hate to say this because it makes me feel like I should hand in my feminist card but Katy Walkman's voice is so distracting I cannot listen to the podcast. I wish I could get past it but I just can't. If you enjoy the kind of literary discussion where a group of writers tears apart every aspect of a book then this is the podcast for you. Each week they choose a great book by a great writer and pick it apart for every perceived flaw. At the end the panel all recommend the book agreeing how much they liked it. I am always shocked because in the space of an hour they don't say one positive thing about the book. My advice would be don't listen to the podcast if you are thinking of reading the book because they will convince you not to. But if you have no intention of reading that book or have already read it, then give it a shot. The one thing they do really well is talk this reader out of reading the books they are discussing. Great podcast with thoughtful discussions, great selection of books and look forward to each episode. Waldman's voice isn't perfect, but it's not THAT bad and she always has something interesting to say, so don't let that deter you, and those that gave up just because of that, you are missing out! Does Katie have a cold? I'm really really interested in the content here but unfortunately Katie's baby-with-a-cold voice is a no-go for me. Disappointed. I love to hear what the hosts have to say after I've read a book, and they often echo and augment my opinions, but the banter and disagreement between them makes it a fun listen. I am in the same boat as many other reviewers. I enjoyed the discussion on this podcast, but finally gave up because I couldn't take Katy Waldman's vocal fry any longer. It really is a shame that her vocal mannerisms make any otherwise worthy show unlistenable for many. This is perhaps my favorite podcast--the book discussions are so interesting and the various hosts that feature on here are intelligent and well-informed. The infamous voice that bothers so many people...is grating at first, I had to work to get over it, but if you love books and crave in-depth book discussion as much as I do, this is so fun to listen and read along to. I'm giving the podcast three stars for the archived episodes, prior to Katie Waldman becoming the host. While I enjoy the discussions of individual books and haven't yet found a similar podcast to turn to, I've reached my threshold of tolerance for Waldman's grating voice, so I'm bidding a sad farewell. I just can't. I love books, I love Slate, I wanted to love this show so much, but I keep instinctually gulping down water and doing vocal warmups, as if I can help by osmosis. PLEASE get a voice coach. And Slate, what are you doing?! This is a podcast. It's all about the voice. I only listen to episodes where I've read the book, but they've become harder to get through. For me, I don't look forward to listening because of the host's vocal fry, which I understand isn't her fault, but I think should have been taken into greater consideration when switching hosts. I once spent two days as a substitute teacher in a classroom of 6th graders all of whom, boys and girls, spoke in -- uptalk? When their teacher, a young woman herself, returned late on the second day, I asked her, "Have you noticed that they all end every statement with -- a ques-tion?" No. No, she had not. Apparently it was not a problem. This habit of speech is not prevalent today, at least not in my world, and when I hear a professional woman approaching middle age use uptalk, I wonder why she never grew out of it like everyone else her age. . . And now vocal fry is a feminist issue??? Why would someone think that? Is it because saying it makes it so? Are we also to regard petulance and flightiness as feminist traits? . . . It's a real shame. Sorry but I'm unsubscribing. Just listened to the When Breath Becomes Air discussion and it was just dreadful. For one it sounded like it was recorded on a dictaphone and played back into a mic. And I know we're all supposed to now be ashamed if vocal fry bugs us because it's antifeminist but a lot of women have it and I usually don't care or really notice much. Katy's voice is like having your eardrum scraped out with a qtip that's missing the cotton. Ugh. Like so many others, I canât stand Katieâs voice. She talks like a little girl, despite being an intelligent woman, and her vocal fry is so distracting. Why doesnât Slate do anything about all the complaints about her voice? It obviously turns many people away from the show. Love this podcast but Katie's voice makes it impossible to listen. 5 stars except for that. I had to unsubscribe in spite of the thoughtful criticism because Katieâs voice is so grating. Folks, this is basically radio, and it is valid to criticize a broadcasterâs voice since that is the instrument of the medium. Having read the countless criticisms of Katyâs voice, Iâm amazed that Slate has not taken any action. Asleep at the switch? A voice coach would cure the problem and make Katieâs intelligent remarks intelligible. Until then, sorry. Omg, Katie, clear your throat. I can't stand your vocal fry and verbal affectations. Slate, are you listening? Save Katie for her written words and give us someone who can speak clearly and intelligently. I love your monthly book choices. I can not listen to Katie's gravelly voice. I can't. Maybe if she ever had something interesting to say I could overlook her vocals but nope. She is ruining many of your podcasts. I keep trying and always turn them off. And the quality of the last one was horrible! I used to love this podcast, but there has been a shift in hosts, and the podcast is now unlistenable due to one particular host's voice. It makes me want to rip my hair out within the first couple seconds of hearing it. As others have mentioned, this particular voice and its utter lack of authority distracts from the quality of the discussion. I hope they bring on old panel members again so I can bump my review back up to 5 stars. There are quite a few good episodes. But, there are the ones that are very grating (consistently mispronouncing or stupidly nick-naming the main character's name in Station Eleven; slagging Beloved because it's often on college syllabi...). But there is usually something to react to and discuss with other listeners. It's a pick and choose podcAst--not one I can always listen to. Not trying to be mean here, but a crucial part of a podcast is just simply the voice you have, and when that voice is just so unlistenable, it doesn't matter whether your insights are shallow or brilliant. One of the recent female hosts has a serious case of vocal fry -- that's the grating "uhhh" sound -- and in the case of this host, her voice sounds like rocks rattling around in a Tupperware dish. Again, her insights may be brilliant, but I find it very annoying. One possibility might be literally taking voice lessons to minimize the vocal fry issue. This is my favorite podcast. Thoughtful and hilarious, I can't get enough. Sorry but unless Katie sees an ENT specialist I am going to unsubscribe. I hate to become part of the chorus because I know that Katy Waldman is a brilliant and thoughtful writer and has interesting things to say about these books. That said, here comes another one: Some writers are not meant for publication; some people are not right for certain professions; and some voices are not meant for radio (or its successors). I used to listen to this podcast religiously. Now -- every time I try to make through an episode -- I'm remained of that woman back in 1991 that claimed Mary Hart's voice caused seizures. Generally well done and informative. The various vocal styles are grating. Katy ,such a bright intelligence but not such a good radio voice.